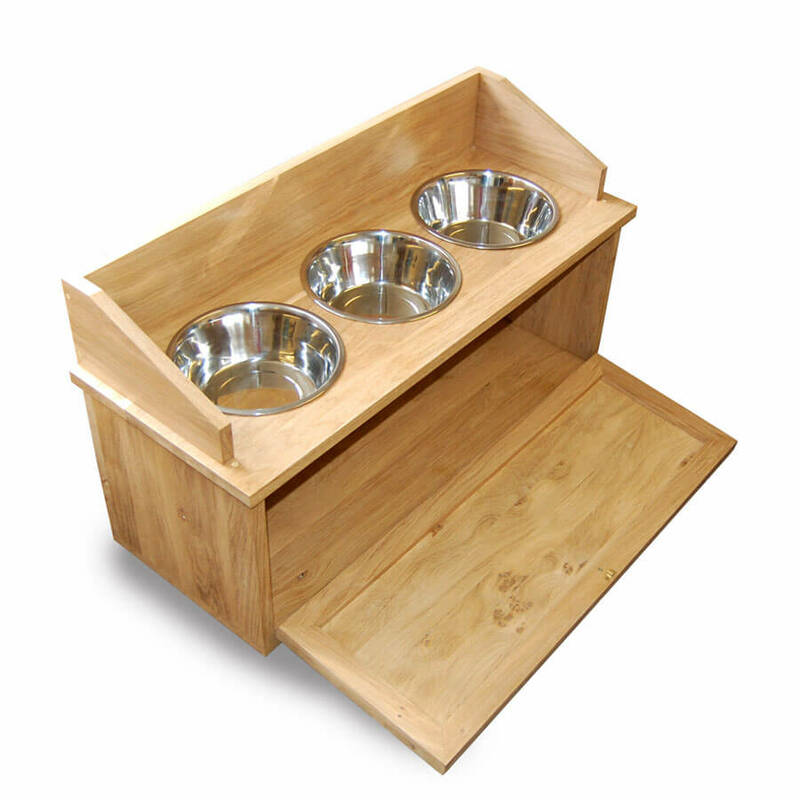 ∙ Dog feeder cabinet hand-crafted in solid English oak. ∙ Available with 2 or 3 bowls. ∙ Optimised for larger dogs to avoid neck and back problems. Oak dog feeder cabinets hand-made in Cornish Oak. 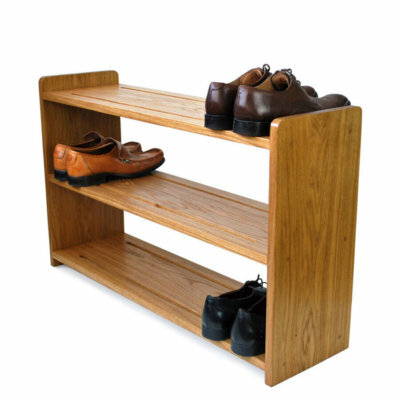 Boot&Saw dog feeder cabinets are exclusive to us and are the perfect finishing touch to your oak kitchen or hallway. Featuring stainless bowls with a splash guard to prevent messy walls whilst your hungry dogs dine, our dog feeding cabinets have a handy cupboard space underneath for storing food and treats. The dimensions of the cabinet and feeding station are optimised to reduce the risk of neck and back problems in larger dogs. We welcome custom enquiries should you have a particularly petite pup. Boot&Saw dog feeder cabinets are hand-made using locally sourced oak, designed and hand crafted in house. We only use English Oak, which naturally features a beautiful colour and grain, as well as being a more sustainable timber. 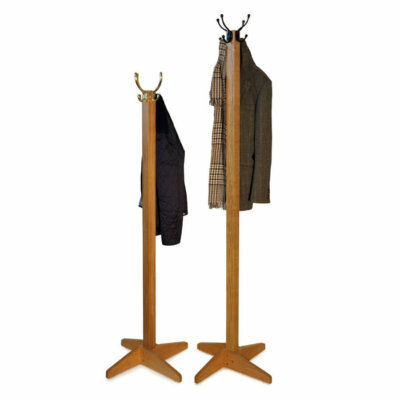 A robust wood, Oak will last longer than pine and is better suited to heavy use. If you want the best available, Oak is it. Finished with durable varnish for a wipe clean finish, Boot&Saw oak dog feeder cabinets are supplied ready assembled and ready to use out of the box.